The following terms and conditions (the "Terms and Conditions") govern your use of this web site (www.comiccollectorlive.com) (the "Web Site"). The Web Site is made, owned and operated by MidTen Media, Inc. ("CCL" or "we" or "us"). We may change the Terms and Conditions from time to time, at any time without notice to you, by posting such changes on the Web Site. BY USING THE WEB SITE, YOU ACCEPT AND AGREE TO THESE TERMS AND CONDITIONS AS APPLIED TO YOUR USE OF THE WEB SITE. If you do not agree to these Terms and Conditions, you may not access or otherwise use the Web Site. 1. Proprietary Rights. As between you and Comic Collector Live, CCL owns, solely and exclusively, all rights, title and interest in and to the Web Site, all the content (including, for example, audio, photographs, illustrations, graphics, other visuals, video, copy, text, software, , etc. ), code, data and materials thereon, the look and feel, design and organization of the Web Site, and the compilation of the content, code, data and materials on the Web Site, including but not limited to any copyrights, trademark rights, patent rights, database rights, moral rights, sui generis rights and other intellectual property and proprietary rights therein. Your use of the Web Site does not grant to you ownership of any content, code, data or materials you may access on the Web Site. 2. Limited License. You may access and view the content on the Web Site on your computer or other Internet compatible device, and make single copies or prints of the content on the Web Site for your personal, internal use only. The Web Site and the services offered on or through the Web Site, including any content and materials thereon, are only for your personal, non-commercial use. 3. Prohibited Use. Any commercial or promotional distribution, publishing or exploitation of the Web Site, or any content, code, data or materials on the Web Site, is strictly prohibited unless you have received the express prior permission of CCL or the applicable rights holder. Other than as expressly allowed herein, you may not download, post, display, publish, copy, reproduce, distribute, transmit, modify, perform, broadcast, transfer, create derivative works from, sell or otherwise exploit any content, code, data or materials on the Web Site. You further agree that you may not alter, edit, delete, remove, otherwise change the meaning or appearance of, or repurpose, any of the content, code, data, or other materials on the Web Site or provided through the services made available on or through the Web Site, including, without limitation, the alteration or removal of any trademarks, trade names, logos, service marks, or any other proprietary content or proprietary rights notices. If you make other use of the Web Site, or the content, code, data or materials thereon, except as otherwise provided above, you may violate copyright and other laws of the United States, other countries, as well as applicable state laws and may be subject to liability for such unauthorized use. CCL will aggressively enforce its intellectual property rights to the fullest extent of the law, including the seeking of criminal prosecution. 4. Trademarks. The trademarks, logos, service marks and trade names (collectively the "Trademarks") displayed on the Web Site are registered and unregistered Trademarks of CCL and others and may not be used in connection with products and/or services that are not related to, associated with, or sponsored by their rights holders that are likely to cause customer confusion, or in any manner that disparages or discredits their rights holders. All Trademarks not owned by CCL that appear on the Web Site or on or through the Web Site's services, if any, are the property of their respective owners. Nothing contained on the Web Site should be construed as granting, by implication, estoppel, or otherwise, any license or right to use any Trademark displayed on the Web Site without the written permission of CCL or the third party that may own the applicable Trademark. Your misuse of the Trademarks displayed on the Web Site or any of the Web Site's services is strictly prohibited. CCL will aggressively enforce its Trademark rights to the fullest extent of the law, including the seeking of criminal prosecution. 5. User Information. In the course of your use of the Web Site and/or the services made available on or through the Web Site, you may be asked to provide certain personalized information to us (such information referred to hereinafter as "User Information"). CCL's information collection and use policies with respect to the privacy of such User Information are set forth in the Web Site's http://www.comiccollectorlive.com/privacy.aspx which is incorporated herein by reference for all purposes. You acknowledge and agree that you are solely responsible for the accuracy and content of User Information, and you agree to keep it up to date. 6. Submitted Materials. Unless specifically requested, we do not solicit nor do we wish to receive any confidential, secret or proprietary information or other material from you through the Web Site, by e-mail or in any other way. Any information, creative works, demos, ideas, suggestions, concepts, methods, systems, designs, plans, techniques or other materials submitted or sent to us (including, for example and without limitation, that which you submit to our chat rooms, message boards, and/or our blogs, or via e-mail) ("Submitted Materials") will be deemed not to be confidential or secret, and may be used by us in any manner consistent with the Web Site's http://www.comiccollectorlive.com/privacy.aspx. By submitting or sending Submitted Materials to us, you: (i) represent and warrant that the Submitted Materials are original to you, that no other party has any rights thereto, and that any "moral rights" in Submitted Materials have been waived, and (ii) you grant us and our affiliates a royalty-free, unrestricted, worldwide, perpetual, irrevocable, non-exclusive and fully transferable, assignable and sublicensable right and license to use, copy, reproduce, modify, adapt, publish, translate, create derivative works from, distribute, perform and display such material (in whole or part) and/or to incorporate it in other works in any form, media, or technology now known or later developed, including for promotional and/or commercial purposes. We cannot be responsible for maintaining any Submitted Material that you provide to us, and we may delete or destroy any such Submitted Material at any time. 7. Prohibited User Conduct. You warrant and agree that, while using the Web Site and the various services and features offered on or through the Web Site, you shall not: (a) impersonate any person or entity or misrepresent your affiliation with any other person or entity; (b) insert your own or a third party's advertising, branding or other promotional content into any of the Web Site's content, materials or services, or use, redistribute, republish or exploit such content or service for any further commercial or promotional purposes; or (c) attempt to gain unauthorized access to other computer systems through the Web Site. You shall not: (i) engage in spidering, "screen scraping," "database scraping," harvesting of e-mail addresses, wireless addresses or other contact or personal information, or any other automatic means of obtaining lists of users or other information from or through the Web Site or the services offered on or through the Web Site, including without limitation any information residing on any server or database connected to the Web Site or the services offered on or through the Web Site; (ii) obtain or attempt to obtain unauthorized access to computer systems, materials or information through any means; (iii) use the Web Site or the services made available on or through the Web Site in any manner with the intent to interrupt, damage, disable, overburden, or impair the Web Site or such services, including, without limitation, sending mass unsolicited messages or "flooding" servers with requests; (iv) use the Web Site or the Web Site's services or features in violation of CCL's or any third party's intellectual property or other proprietary or legal rights; or (v) use the Web Site or the Web Site's services in violation of any applicable law. You further agree that you shall not attempt (or encourage or support anyone else's attempt) to circumvent, reverse engineer, decrypt, or otherwise alter or interfere with the Web Site or the Web Site's services, or any content thereof, or make any unauthorized use thereof. You agree that you shall not use the Web Site in any manner that could damage, disable, overburden, or impair the Web Site or interfere with any other party's use and enjoyment of the Web Site. You shall not obtain or attempt to obtain any materials or information through any means not intentionally made available or provided for through the Web Site. 8. Public Forums. CCL may, from time to time, make messaging services, chat services, bulletin boards, message boards, blogs, other forums and the like available on or through the Web Site. In addition to any other rules or regulations that we may post in connection with a particular service, you agree that you shall not upload, post, transmit, distribute or otherwise publish through the Web Site or any service or feature made available on or through the Web Site, any materials which (i) restrict or inhibit any other user from using and enjoying the Web Site or the Web Site's services, (ii) are fraudulent, unlawful, threatening, abusive, harassing, libelous, defamatory, obscene, vulgar, offensive, pornographic, profane, sexually explicit or indecent, (iii) constitute or encourage conduct that would constitute a criminal offense, give rise to civil liability or otherwise violate any local, state, national or international law, (iv) violate, plagiarize or infringe the rights of third parties including, without limitation, copyright, trademark, trade secret, confidentiality, contract, patent, rights of privacy or publicity or any other proprietary right, (v) contain a virus, spyware, or other harmful component, (vi) contain embedded links, advertising, chain letters or pyramid schemes of any kind, or (vii) constitute or contain false or misleading indications of origin, endorsement or statements of fact. You further agree not to impersonate any other person or entity, whether actual or fictitious, including anyone from the Web Site or CCL. You also may not offer to buy or sell any product or service on or through your comments submitted to our forums. You alone are responsible for the content and consequences of any of your activities. 10. Private or Sensitive Information on Public Forums. It is important to remember that comments submitted to a forum may be recorded and stored in multiple places, both on our Web Site and elsewhere on the Internet, which are likely to be accessible for a long time and you have no control over who will read them eventually. It is therefore important that you are careful and selective about the personal information that you disclose about yourself and others, and in particular, you should not disclose sensitive, proprietary or confidential information in your comments to our public forums. 11. Linking to the Web Site. You agree that if you include a link from any other web site to the Web Site, such link shall open in a new browser window and shall link to the full version of an HTML formatted page of this Web Site. You are not permitted to link directly to any image hosted on the Web Site or our services, such as using an "in-line" linking method to cause the image hosted by us to be displayed on another web site. You agree not to download or use images hosted on this Web Site on another web site, for any purpose, including, without limitation, posting such images on another site. You agree not to link from any other web site to this Web Site in any manner such that the Web Site, or any page of the Web Site, is "framed," surrounded or obfuscated by any third party content, materials or branding. We reserve all of our rights under the law to insist that any link to the Web Site be discontinued, and to revoke your right to link to the Web Site from any other web site at any time upon written notice to you. 12. Indemnification. You agree to defend, indemnify and hold CCL and its directors, officers, employees and agents harmless from any and all claims, liabilities, costs and expenses, including reasonable attorneys' fees, arising in any way from your use of the Web Site, your placement or transmission of any message, content, information, software or other materials through the Web Site, or your breach or violation of the law or of these Terms and Conditions. CCL reserves the right, at its own expense, to assume the exclusive defense and control of any matter otherwise subject to indemnification by you, and in such case, you agree to cooperate with CCL's defense of such claim. 13. Third Party Web Sites. You may be able to link from the Web Site to third party web sites and third party web sites may link to the Web Site ("Linked Sites"). You acknowledge and agree that we have no responsibility for the information, content, products, services, advertising, code or other materials which may or may not be provided by or through Linked Sites, even if they are owned or run by affiliates of ours. Links to Linked Sites do not constitute an endorsement or sponsorship by us of such web sites or the information, content, products, services, advertising, code or other materials presented on or through such web sites. Also, CCL is not responsible for web casting or any other form of transmission received from any linked web site. Any reliance on the contents of a third party web site is done at your own risk and you assume all responsibilities and consequences resulting from such reliance. 15. DISCLAIMER OF WARRANTIES. THE WEB SITE, INCLUDING, WITHOUT LIMITATION, ALL SERVICES, CONTENT, FUNCTIONS AND MATERIALS, IS PROVIDED "AS IS," "AS AVAILABLE," WITHOUT WARRANTY OF ANY KIND, EITHER EXPRESS OR IMPLIED, INCLUDING, WITHOUT LIMITATION, ANY WARRANTY FOR INFORMATION, DATA, DATA PROCESSING SERVICES, UPTIME OR UNINTERRUPTED ACCESS, ANY WARRANTIES CONCERNING THE AVAILABILITY, PLAYABILITY, DISPLAYABILITY, ACCURACY, USEFULNESS, OR CONTENT OF INFORMATION, AND ANY WARRANTIES OF TITLE, NON-INFRINGEMENT, MERCHANTABILITY OR FITNESS FOR A PARTICULAR PURPOSE, AND WE HEREBY DISCLAIM ANY AND ALL SUCH WARRANTIES, EXPRESS AND IMPLIED. WE DO NOT WARRANT THAT THE WEB SITE OR THE SERVICES, CONTENT, FUNCTIONS OR MATERIALS CONTAINED THEREIN WILL BE TIMELY, SECURE, UNINTERRUPTED OR ERROR FREE, OR THAT DEFECTS WILL BE CORRECTED. WE MAKE NO WARRANTY THAT THE WEB SITE WILL MEET USERS' REQUIREMENTS. NO ADVICE, RESULTS OR INFORMATION, WHETHER ORAL OR WRITTEN, OBTAINED BY YOU FROM US OR THROUGH THE WEB SITE SHALL CREATE ANY WARRANTY NOT EXPRESSLY MADE HEREIN. CCL ALSO ASSUMES NO RESPONSIBILITY, AND SHALL NOT BE LIABLE FOR, ANY DAMAGES TO, OR VIRUSES THAT MAY INFECT, YOUR COMPUTER EQUIPMENT OR OTHER PROPERTY ON ACCOUNT OF YOUR ACCESS TO, USE OF, OR BROWSING IN THE WEB SITE OR YOUR DOWNLOADING OF ANY MATERIALS, DATA, TEXT, IMAGES, VIDEO CONTENT, OR AUDIO CONTENT FROM THE WEB SITE. IF YOU ARE DISSATISFIED WITH THE WEB SITE, YOUR SOLE REMEDY IS TO DISCONTINUE USING THE WEB SITE. WE TRY TO ENSURE THAT THE INFORMATION POSTED ON THE WEB SITE IS CORRECT AND UP-TO-DATE. WE RESERVE THE RIGHT TO CHANGE OR MAKE CORRECTIONS TO ANY OF THE INFORMATION PROVIDED ON THE WEB SITE AT ANY TIME AND WITHOUT ANY PRIOR WARNING. WE CANNOT, AND DO NOT, GUARANTEE THE CORRECTNESS, PRECISION, THOROUGHNESS OR COMPLETENESS OF ANY OF THE INFORMATION AVAILABLE ON THE WEB SITE, NOR WILL WE BE LIABLE FOR ANY INACCURACY OR OMISSION CONCERNING ANY OF THE INFORMATION PROVIDED ON THE WEB SITE. WITHOUT LIMITATION OF THE ABOVE IN THIS SECTION, COMIC COLLECTOR LIVE , MAKES NO WARRANTIES OR REPRESENTATIONS REGARDING ANY PRODUCTS OR SERVICES ORDERED OR PROVIDED VIA THE WEB SITE, AND HEREBY DISCLAIM, AND YOU HEREBY WAIVE, ANY AND ALL WARRANTIES AND REPRESENTATIONS MADE IN PRODUCT OR SERVICES LITERATURE, FREQUENTLY ASKED QUESTIONS DOCUMENTS AND OTHERWISE ON THE WEB SITE OR IN CORRESPONDENCE WITH CCL OR ITS AGENTS. ANY PRODUCTS ORDERED OR PROVIDED VIA THE WEB SITE ARE PROVIDED BY SELLER "AS IS". UNDER NO CIRCUMSTANCES DOES YOUR USE OF THE WEB SITE FORM ANY RELATIONSHIP, WHETHER IMPLIED OR EXPRESS, WITH CCL. CCL HEREBY DISCLAIMS ANY SUCH RELATIONSHIP AND ANY LIABILITY ARISING AS A RESULT OF ITS USE OF ANY CONTENT, INCLUDING, WITHOUT LIMITATION, MESSAGES, COMMENTS OR CONTRIBUTIONS, CONTAINED ON THE WEB SITE. 16. LIMITATION OF LIABILITY. IN NO EVENT, INCLUDING BUT NOT LIMITED TO NEGLIGENCE, SHALL CCL, OR ANY OF ITS DIRECTORS, OFFICERS, EMPLOYEES, AGENTS OR CONTENT OR SERVICE PROVIDERS (COLLECTIVELY, THE "PROTECTED ENTITIES") BE LIABLE FOR ANY DIRECT, INDIRECT, SPECIAL, INCIDENTAL, CONSEQUENTIAL, EXEMPLARY OR PUNITIVE DAMAGES ARISING FROM, OR DIRECTLY OR INDIRECTLY RELATED TO, THE USE OF, OR THE INABILITY TO USE, THE WEB SITE OR THE CONTENT, MATERIALS AND FUNCTIONS RELATED THERETO, YOUR PROVISION OF INFORMATION VIA THE WEB SITE, LOST BUSINESS OR LOST SALES, EVEN IF SUCH PROTECTED ENTITY HAS BEEN ADVISED OF THE POSSIBILITY OF SUCH DAMAGES. SOME JURISDICTIONS DO NOT ALLOW THE LIMITATION OR EXCLUSION OF LIABILITY FOR INCIDENTAL OR CONSEQUENTIAL DAMAGES SO SOME OF THE ABOVE LIMITATIONS MAY NOT APPLY TO CERTAIN USERS. IN NO EVENT SHALL THE PROTECTED ENTITIES BE LIABLE FOR OR IN CONNECTION WITH ANY CONTENT POSTED, TRANSMITTED, EXCHANGED OR RECEIVED BY OR ON BEHALF OF ANY USER OR OTHER PERSON ON OR THROUGH THE WEB SITE. IN NO EVENT SHALL THE TOTAL AGGREGATE LIABILITY OF THE PROTECTED ENTITIES TO YOU FOR ALL DAMAGES, LOSSES, AND CAUSES OF ACTION (WHETHER IN CONTRACT OR TORT, INCLUDING, BUT NOT LIMITED TO, NEGLIGENCE OR OTHERWISE) ARISING FROM THE TERMS AND CONDITIONS OR YOUR USE OF THE WEB SITE EXCEED, IN THE AGGREGATE, THE AMOUNT, IF ANY, PAID BY YOU TO CCL FOR YOUR USE OF THE WEB SITE OR PURCHASE OF PRODUCTS VIA THE WEB SITE. 18. Termination. CCL may terminate, change, suspend or discontinue any aspect of the Web Site or the Web Site's services at any time. CCL may restrict, suspend or terminate your access to the Web Site and/or its services if we believe you are in breach of our terms and conditions or applicable law, or for any other reason without notice or liability. CCL maintains a policy that provides for the termination in appropriate circumstances of the Web Site use privileges of users who are repeat infringers of intellectual property rights. 20. Miscellaneous. The Terms and Conditions, and the relationship between you and us, shall be governed by the laws of the State of Tennessee, United States of America, without regard to conflict of law provisions. You agree that any cause of action that may arise under the Terms and Conditions shall be commenced and be heard in the appropriate court in the State of Tennessee, County of Sumner, United States of America. You agree to submit to the personal and exclusive jurisdiction of the courts located within Sumner County in the State of Tennessee. Our failure to exercise or enforce any right or provision of the Terms and Conditions shall not constitute a waiver of such right or provision. If any provision of the Terms and Conditions is found by a court of competent jurisdiction to be invalid, the parties nevertheless agree that the court should endeavor to give effect to the parties' intentions as reflected in the provision, and the other provisions of the Terms and Conditions remain in full force and effect. 21. Contributor Submissions. 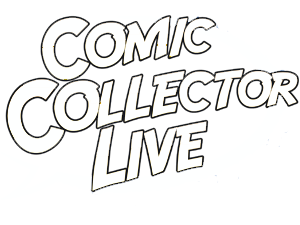 When providing information for items on ComicCollectorLive, or providing any user content, please refrain from the use of copyrighted material in any form. Contributors should provide information that is public domain or thier own creativity. If you see user content that is copyrighted material please notify ComicCollectorLive.com by clicking on the shield above the content, or by submitting a ticket at http://help.MidTenMedia.com. 22. SELLER CODES OF CONDUCT. CCL Stores should provide every customer with the following during a transaction: Professional and courteous communication at anytime during the buying/selling transaction. This includes communication requested by a buyer if they are unhappy with their purchase. If a buyer cannot contact you, they are asked to contact us. If you choose to ignore CCL requests for communication for longer than 3 days, CCL reserves the right to lock your store indefinitely until such communication is established. Details of items to the best of their knowledge and expertise. Clear and concise store policies. Customer satisfaction to the best of their ability in every transaction, both good and bad. CCL Stores are not required to address customer complaints in the CCL forums, however, CCL strongly urges stores that wish to be trusted to respond to customer complaints or concerns. This applies not only in the CCL Forums, but also through private messages or any other CCL communication pathway. CCL Stores who drop below a 90% Customer Satisfaction Rating (CSR Determined as percentage of non-villain ratings within the past 60 days) will face suspension from selling on CCL. If this scenario happens again within another 60-day period, the store will be forced to close. CCL Stores are asked to remain civil and professional to every member of Comic Collector Live in either private messages or the CCL Forums. As a store, you represent Comic Collector Live as much as we represent you. 23. SELLER CHARTER. CCL Sellers will be provided quality customer satisfaction from our staff… from technical support to basic questions. 615-264-4747 is our contact phone number. CCL Sellers have the right to leave feedback to a buyer for a transaction as well as respond to the feedback rating left for them. CCL Sellers are not required to pay for a yearly CCL Software Subscription as long as they are paying monthly fees for having their CCL store in place. CCL Sellers will be allowed to post specials and promotions in the "Seller's Corner" section of our homepage. This section is reserved STRICTLY for official CCL stores. CCL Sellers are allowed to create and adjust their own personal store policies and procedures.